Apple today announced the next-generation 12-inch Retina MacBook with several faster tech specs, one hour longer battery life, and a new Rose Gold color option. The ultra-thin notebook is available on Apple’s online store starting today from $1,299, and from Apple retail stores and authorized resellers beginning tomorrow. Christina Warren has shared 64-bit Geekbench results that show the new 12-inch MacBook (1.2GHz configuration) has around 15% to 18% faster CPU performance compared to last year’s equivalent model. The notebook earned a single-core score of 2,894 and a multi-core score of 5,845, versus 2,437 single-core and 5,049 multi-core scores for the previous generation 1.2GHz model. 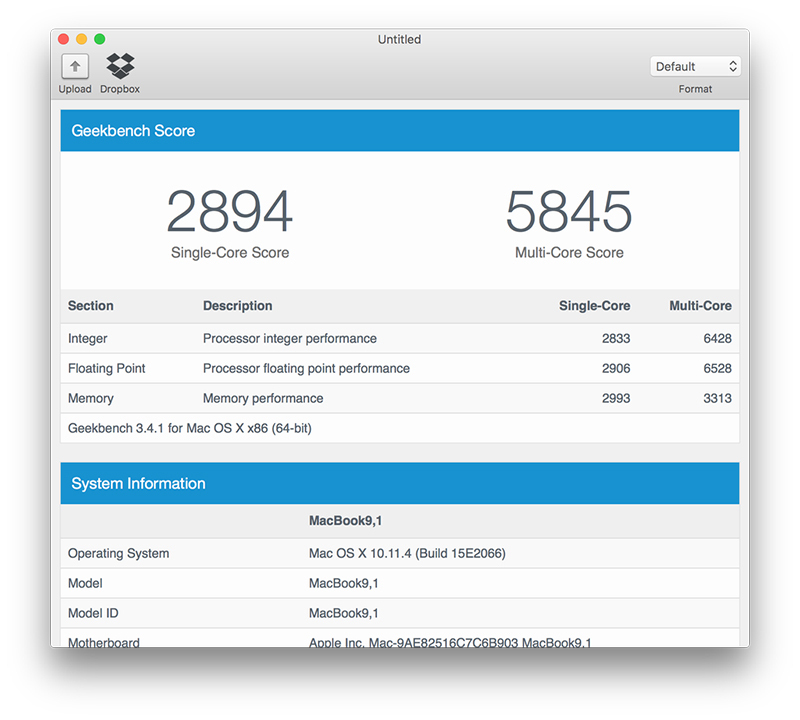 Primate Labs founder John Poole also shared 32-bit Geekbench 3 results for the new 12-inch MacBook (1.2GHz configuration) that confirms around a 15% bump in CPU performance compared to the equivalent 2015 model. 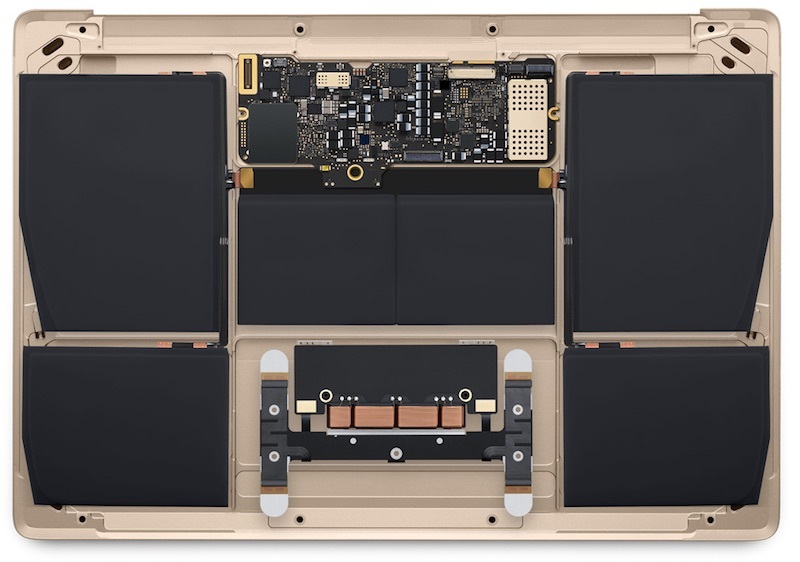 The new 12-inch MacBook earned a single-core score of 2,670 and a multi-core score of 5,252, compared to 2,303 and 4,621 for the last-generation model. Meanwhile, early BlackMagic disk speed tests have seen write speeds that are up to 80 or 90 percent faster than the write speeds in the previous-generation MacBook. Read speeds are also improved. 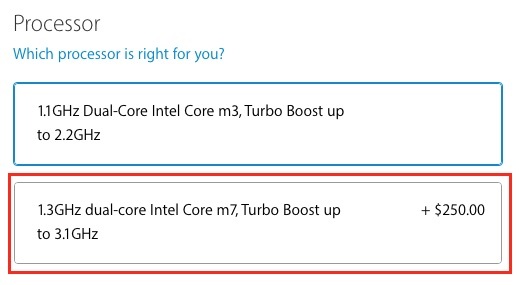 Initial reaction to the MacBook refresh has been mixed, with some appreciating the long-awaited arrival of faster Skylake processors and others disappointed that the notebook continues to have only one USB-C port, a 480p FaceTime camera, and no Thunderbolt 3 or DDR4 RAM. No Thunderbolt 3, no extra USB-C port, and same $1,299 starting price. Ouch. Not what I expected. Let’s see what the MacBook Pros will be like. The new 12-inch MacBook is available with a faster 1.3GHz Intel dual-core Core m7 processor as a $150 to $250 built-to-order upgrade option. Apple has lowered the price of refurbished early 2015 model 12-inch MacBooks on its online store. The notebooks now range between $929 and $1,319 in the U.S. depending on the configuration selected. This entry was posted in MacBiz and tagged Macbook. Bookmark the permalink.